Memory card or also called MMC problem on Nokia C5 usually caused by the hardware failure, in this post, mobile repair guide provide a picture relating to the C5 memory card problem. The picture below show you how to repair that problem. 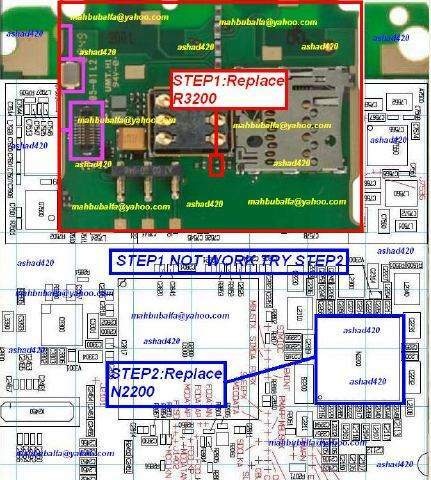 It show two steps, first you can try to replace the R3200 as shown by the picture. If the first step not work, you can try to do the step 2, replace the N2200 as shown by the picture below.